Two racing dog owners are trying to strike down a county ordinance regulating greyhounds. Scott Bennett and Jimmy Goodman, in a suit filed in Seminole Circuit Court on Tuesday, say the local law—the only known one of its kind in the state—is preempted by Florida gambling statutes covering racing dogs and is thus "unenforceable." They said they "have incurred, and will continue to incur, licensing fees that are otherwise not required by state law" and "subject to ongoing harm including inspections and potential fines from the County." Their suit also says the ordinance was drafted by GREY2K USA, which bills itself as a "greyhound protection organization" and has long been an antagonist to racing dog breeders and owners. "The legal claims made in this lawsuit are flawed, and will be rejected," said Carla Wilson, vice chair of the Committee to Protect Greyhounds, a political committee that backed the ordinance. The plaintiffs are represented by lawyer-lobbyist and former Lt. Gov. Jeff Kottkamp, who also represents the Florida Greyhound Association. Lawmakers considered but did not pass a bill this year banning the use of steroids on greyhounds. The Seminole County ordinance does not address steroid use on dogs. "A great night at the Boys & Girls Clubs of the Big Bend's Steak and Burger Dinner"
Recycling … Let's Get Back to Basics! It's 2016 and we have four years to reach our 75 percent recycling goal in Florida. Many people are worried that we won't make the goal. Others are stepping up and doing what they can to increase recycling efforts in our state. The Florida Recycling Partnership and Recycle Florida Today are working with the Florida Department of Environmental Protection (FDEP) to produce a series of Webinars designed to help recycling coordinators educate their residents on recycling. The fi rst one "Contamination: A Growing Challenge to Reaching Florida's 75 Percent Recycling Goal" was held in December 2015. It was well attended and the speakers had a common theme—education is the key to improving recycling rates. The waste industry has tried to make recycling more convenient for everyone through single-stream carts but unfortunately, people do not always check to make sure they put the right items in the bin. Contamination can spoil your recycling program and keep recycling rates low. How do you talk to your residents about how to recycle properly? During the Webinar several ideas were shared. Dawn McCormick with Waste Management talked about their great program, "Recycle Often. Recycle Right." They also have a variety of educational items on their Web site, www.RecycleOftenRecycleRight.com. Waste Management is focusing on the basics of recycling and highlighting items that should be placed in the bins. Travis Barnes, Recycling Coordinator for Hillsborough County, told the audience to focus the message on what items can be recycled in your curbside program, as opposed to general information about why recycling is important or good for the environment. Just because an item seems like it should be recycled, doesn't meant that said item can be recycled. Hillsborough County is using signage to show what not to place in the recycling bin! Ron Hixson from Santa Rosa County talked about the problems with their recycling program. As they moved forward with their recycling program, they soon realized that the county will need to charge for collecting and processing recyclables. Most people think recycling services should be free because there is a value to the products, but markets change, along with the value of certain items. Santa Rosa is working on an education plan to explain "Market Based Recycling." Ron said they are going to include the message "Yes, everything can be recycled, but not everything should be recycled." The Florida Recycling Partnership looks forward to continued work with Recycle Florida Today and Karen Moore and her team at FDEP on future Webinars. So let's get back to basics; it begins with the bin! Keyna Cory is the Executive Director of the Florida Recycling Partnership, a coalition of top Florida businesses and associations with the mission of educating policy makers and the general public on the benefi ts of recycling. Keyna is also President of Public Affairs Consultants. She can be reached at (850) 728-1054 or e-mail Keyna@flrecycling.org. Two longtime public relations and sports administration veterans have been named to leadership positions with the Florida Sports Hall of Fame. Collegiate athletics administrator and public relations specialist Wayne Hogan will serve as Executive Director while Tallahassee-based consultant Keyna Cory is the newest member of the 22-person board of directors. Hall of Fame Board President Barry Smith announced the changes in a statement Friday. Hogan is owner and CEO of Mango Media, a public relations consulting firm in St. Petersburg, which he will continue to manage. A Tallahassee native, Hogan spent more than 35 years in collegiate athletics, 17 of which at Florida State University, his alma mater. During that time, Hogan served as sports information director, assistant AD and later as interim athletic director in 1994-95. After an eight-year stint at the University of Montana as athletic director, Hogan recently spent nine years as Associate AD for External Operations at Georgia Tech. He returned to his native Florida in 2014 to launch Mango Media. "The Florida Sports Hall of Fame is extremely fortunate to have someone with Wayne's background and experience available to manage our day-to-day operation," said Smith, a former wide receiver at both FSU and in the NFL. "I've known Wayne for more than 30 years," he added, "and can attest to his administrative acumen, creativity, and people skills, which will be a valuable asset to the Hall of Fame." Most recently, Hogan was Chair of the Florida Sports Hall of Fame's 2015 Enshrinement festivities, held last November in Hollywood. 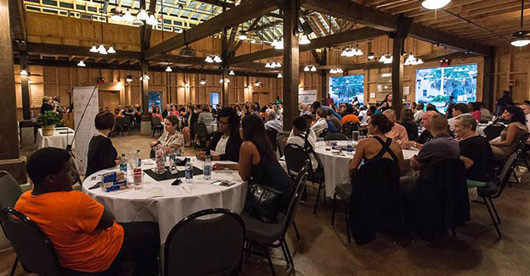 The successful two-day event enjoyed record corporate participation as well as a sold-out enshrinement ceremony. Hogan's first project for the Hall in 2016 will be to coordinate a series of statewide celebrity events, including golf, fishing and sporting clay tournaments, meet-and-greet opportunities and tailgate-style autograph sessions. As president of Public Affairs Consultants, Inc., Cory brings to the Hall of Fame more than three decades of legislative advocacy experience, representing Fortune 500 companies; corporations; associations and small businesses. Cory played a crucial role in the establishment of the Sunshine Football Classic as a member of the Founding and Team Selection Committees. The Classic, formerly the Blockbuster Bowl and later the CARQUEST Bowl, is now known as the Micronpc.com Bowl. In 1995, Cory had the honor of being the first woman to serve as chair of a college football bowl game, the CARQUEST Bowl. She now represents eight Florida bowl games: Capital One Orange Bowl, TaxSlayer Bowl, Buffalo Wild Wings Bowl, Outback Bowl, St. Petersburg Bowl, Russell Athletic Bowl, Miami Beach Bowl and the Marmot Boca Raton Bowl. The Florida Sports Hall of Fame, now in its 55th year, honors the state's sports heritage by sharing the inspiring stories of its 243 current members. Under the slogan "Fame for Fitness," the Hall maintains a museum and preview center in Polk County, displaying memorabilia provided by the members. Among the organization's missions is promoting active lifestyles and fighting childhood obesity. Tallahassee public affairs consultant Keyna Cory has been added to the 22-person Board of Directors for the Florida Sports Hall of Fame. Cory is President of Public Affairs Consultants, Inc., with over 30 years of legislative experience. She has successfully navigated Fortune 500 companies; corporations; associations and small businesses through the governmental process. And her keen interest in sports across the state of Florida makes her a valuable addition to the board. Cory had the distinct opportunity to become involved with the formation of the Sunshine Football Classic by serving on the Founding Committee and Team Selection Committee. (The Classic became known as the Blockbuster Bowl, then the CARQUEST Bowl, and finally the Micronpc.com Bowl). 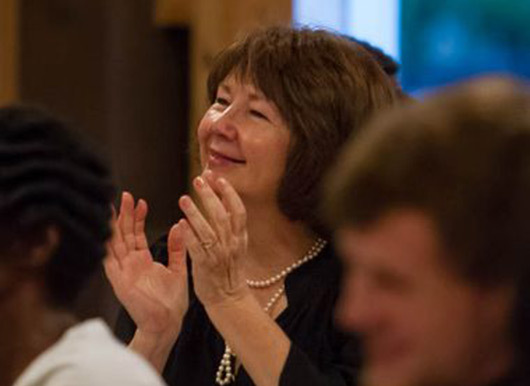 She was also the first woman to serve as Chairman of a college football bowl game, the CARQUEST Bowl in 1995. Cory represents the eight bowl games in Florida (Capital One Orange Bowl, TaxSlayer Bowl, Buffalo Wild Wings Bowl, Outback Bowl, St. Petersburg Bowl, Russell Athletic Bowl, Miami Beach Bowl and the Marmot Boca Raton Bowl) and her knowledge of the system and creative strategizing enabled her to obtain public funding for their games. During her time working with the different bowls, she worked with the local governments who were hosting the games. David Biderman would like people to think of garbage trucks more like they think of school buses. Improperly disposed of garbage isn’t only messy. In some cases, it can also be dangerous. For example, the scent of garbage that’s not properly disposed of is drawing black bears into residential neighborhoods, leading to dangerous interactions. Now, the Florida Fish and Wildlife Conservation Commission is pushing for mandated bear-proof cans to keep the animals away from what could be harmful garbage and from the forming of potentially harmful habits. The commission signed a Waste Management Resolution and approved a policy paper, explaining the need for comprehensive waste management to address human-bear conflicts and improve public safety. In some areas across the state, where bear-human interactions have become more common, bear attacks are in the news. In response to those attacks and interactions, the FWC contacted the Florida chapter of National Waste & Recycling Association (NWRA) in June suggesting that some of the problem of black bears in human-populated areas is the result of unprotected garbage cans and roll-off containers. The suggestion was made that bear-proof containers are the answer to the problem, says Keyna Cory, lobbyist for NWRA's Florida chapter. However, says Cory, Florida is a franchise state, so each community tells the hauler what kind of cans they’ll have, when pickup will be, etc. A blanket change for the state may not be a realistic option as sometimes local government pays for containers, but sometimes it’s built into the cost of collection. Switching to bear-proof bins can cost as much as $200 per container. Then there’s the issue of automated collection that would be necessary to pick up the heavier, bear-proof cans. Since June 2014, of the 23,000 residences in the county, approximately 390 bear-proof bins have been purchased from county haulers, Florida-based Waste Pro and Pennsylvania-based Advanced Disposal, Edwards says. The county, he says, may not have been ready to mandate the bins as the costs for 23,000 bins could run between $4 million and $5 million. And there’s no guarantee the bear-proof bins will keep the bears out of neighborhoods. In one recent situation, a black bear ate a 20-pound bag of dog food at a residence and proceeded to take a long nap in the yard. So it’s not just the garbage that needs to be considered. An issue in the beginning, Edwards adds, was the 94-gallon bear-resistant bins the agency suggested were too thick and heavy for workers handling the manual solid waste pick-up. Haulers agreed to retrofit trucks for semi-automated pickup and to use 64-gallon bear-proof containers. Only those residents who chose to pay the additional cost for a bear-proof bin received them. Though Edwards says he cannot speak yet to the success of the use of those cans, bears are making an appearance in the area, but so far, a relatively small amount of residents are willing to pay the extra costs for bear-proof containers. At first blush, the agency thought requesting a few million dollars from the legislature for new cans would do the trick, but after talking with NWRA's Chuck Dees, they were ready to hear more. It has to be big picture, she says. NWRA has agreed to sit down with various agencies involved to determine problem areas, and to perhaps plan a pilot program in some areas to learn what works. Bear-human contact is taking place everywhere from rural areas to gated communities. “We’ve all agreed we’re going to be working on this issue together," Cory says. "There’s no magic wand to make this whole thing go away. We’re going to have to figure out together, collectively, what’s the best solution for each community. And I think they’re on board." Florida has grown so fast, she says, and humans have gone into the bear’s neighborhoods. It’s an issue more complex than bear-proof bins. “I’m very optimistic that we’re going to come up with a plan of action,” she says. The commission has no authority to mandate the bins. Local governments do. However, it is unlikely the state legislature, who Cory says are not “big on mandates,” would do something statewide to focus on a more concentrated area that encounter these bear issues There also aren’t a lot of bears in Miami Beach, for example, she says. Across the state, however, the black bear population has grown to such numbers, the FWC has started to push for the bear-proof bins while also authorizing the state’s first bear hunt in 21 years. In Seminole County, Fla., the FWC helped with grant monies for optional bear-proof cans for residents last year. An uptick in media coverage of black bears in neighborhoods and a few bear attacks of residents and pets was the initial catalyst for the new bins, Seminole County Solid Waste Manager Johnny Edwards says. The cornerstone of the association’s safety push is to lobby states to pass into law some form of its Slow Down to Get Around concept, which requires that drivers to be more aware and cautious around waste and recycling trucks. Currently, five states have adopted such laws: Michigan, Wisconsin, Alabama, Florida and West Virginia. It’s on the radar in other legislatures. “We’ve seen great progress in Virginia, Georgia and Indiana, and have introduced bills in several other states,” Biderman says. “We are confident that a slow down to get around bill will be signed into law in several states in 2015.” Kansas, Illinois and North Carolina are other potential states where there might be bills passed. The Silver Spring, Md.-based Solid Waste Association of North America (SWANA) also has been supportive of the lobbying efforts. The laws follow two basic models. One calls for higher penalties for drivers striking sanitation workers. In the other, drivers are required to slow down (for example, to 10 mph) or move over a lane when passing waste collection trucks. Biderman says the preferred approach depends on a variety of factors. “Usually these bills are amendments to existing laws, and so the structure of the existing state law matters,” he says. Government data clearly shows that waste and recycling is a dangerous profession. The Labor Department reported that for 2013 refuse and recyclable material collectors had the fifth most dangerous job in 2013, as compared to sixth the year before. The fatal work injury rate in 2013 was 33.0 per 100,000 full-time equivalent workers. Michigan was the first state to pass a sanitation safety driver bill in 2009, but other states have enacted laws in recent years. But it’s difficult to surmise if the laws have had an impact yet. “I think it’s too early to draw any sort of statistical correlation or causation between the enactment of a Slow Down to Get Around bill and a reduction in the frequency of struck-by accidents,” Biderman says. And there are confounding variables, such as driver use of mobile phones, and laws outlawing mobile phone use while driving. And the population is aging as well, which also could affect conclusions about driver tendencies. Florida is one of the most recent states to pass a Slow Down law, just last October. Kenya Cory agrees it’s too early to see any tangible change, but definitely time to ramp up education. She’s a lobbyist for the Florida chapter of the NWRA, as well as executive director for the Florida Recycling Partnership. Florida is a state that had a Move Over Act already in place to address fire, rescue, safety, police, emergency vehicles and even tow trucks. Cory and other proponents got the legislature to add in solid waste and utility vehicles. Cory says it was a big challenge to get the bill passed. The state senate indicated it didn’t think the addition of waste workers was necessary, and the highway department feared it would detract from the original intent of the bill. And, “Florida, I hate to say, has just been woefully behind on safety issues,” she says. It was the 48th state to pass a law prohibiting texting while driving, for example. “But once we get people educated about the importance of doing it, then it resonates. And they start understanding why we need those special laws." Cory currently is lobbying on the texting law to increase it from a secondary offense to a primary one. Currently, police have to pull drivers over for another violation first. New York City doesn’t have a waste truck awareness law, but when the movement started gaining momentum six to eight years ago the Department of Sanitation put “Slow Down To Get Around” stickers on each of its garbage trucks, Biderman says. The city’s sanitation department doesn’t have any data tracking the effect of the stickers. But the city has been active in safety training in other ways as well, says Kathy Dawkins, with public affairs for the department, in an e-mail. The department’s Division of Safety and Training regularly educates employees on safe practices. The department also operates an Accident Reduction Initiative program that promotes both safe driving techniques as well as safe work practices. The NWRA also has taken another approach to improve safety through a certification effort, and its first initiative was Certified Safe Drivers, launched last June, for waste and recycling truck operators. Future certification programs may include those for front-line supervisors; facilities such as material recovery facilities (MRFs); or processes such as recycling. A person who passes the certification exam, which consists of 75 multiple-choice questions, demonstrates that they have a foundational knowledge of industry best practices in driver safety, said Tiffany Jones, certification director for NWRA. Certified drivers show a base-level knowledge proficiency in the elements of commercial driving, safety protocol, procedure, regulations, standards and performance. 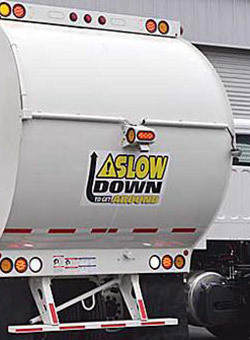 One safety initiative that raised concerns with the NWRA has been a proposal by the California Occupational Safety and Health Standards Board (Cal/OSHA) to reduce the allowable speed for right-side drive waste collection vehicles. The association feared that it instead would undercut national momentum in improving worker safety in the waste industry. In late March, Cal/OSHA’s standards board adopted its proposal. Peter Melton, spokesman for Cal/OSHA, provided an e-mail statement regarding the state’s perspective: “In response to the speed limit question, the board adopted the ANSI 245.1 standard’s recommended speed limit of 20 mph during collection from the right-hand, or secondary, position.” The rulemaking package was submitted to the Office of Administrative Law for approval. But regardless of the approach or the issue, improving waste and recycling worker safety is the big prize. Biderman says patience is a key to success. 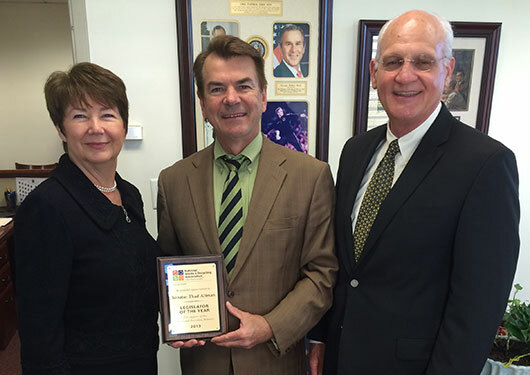 After all, Cory received the 2013 Leading Lobbyist Award from Association Trends, the nation’s leading organization to track key legal and regulatory issues in the association community. The group recognized Cory for years of nonprofit service with Florida Alliance of Boys & Girls Clubs, where he helped secure $23 million for youth members statewide since 2006. Florida regulations direct lobbying firms to file quarterly compensation reports, identifying clients and how much they are paid – but unlike the federal lobbyists, which are required to report exact figures – state lobbyist disclosures are limited to broad dollar ranges. The three-person lobbying team of Cory, his wife Keyna and grassroots specialist Erin Daly Ballas took in the second quarter of 2014 an estimated $159,988 in legislative fees and $99,990 executive, for a total of $259,975 — about $40K less than Q1. With15 legislative and 13 executive clients, Public Affairs earned $559,954 combined for the first half of the year. The top legislative client is American Elder Care, the only non-HMO and statewide senior long-term-care provider in Florida. The Delray Beach-based company, which gave in the $20,000 to $29,999 range, also gave up to $9,999 in executive advocacy fees. The Florida Alliance of Boys & Girls Clubs and National Waste & Recycling Association round out the top three legislative clients; both gave up to $19,999 in fees. South Florida Agriculture Association, Inc. Boys & Girls Clubs of America honored two prominent Floridians on Friday at its Annual Convention in San Francisco. Smith represents the Senate District 31, covering much of central Broward County. The Fort Lauderdale Democrat is also Democratic Minority Leader of the Florida Senate. During the final hours of session on Friday night, Sen. Darren Soto announced the award on the Senate floor, where Smith received a standing ovation. Tupperware Brands CEO Rick Goings, who serves as Chairman Emeritus of Boys & Girls Clubs of America and of Corporation, announced Cory’s award. Government Affairs Professional Award recognizes Cory as him as an individual who had a profound impact on the Alliance’s legislative agenda. Cory, with his wife Keyna, have represented clients before the Florida Legislature for over 30 years. 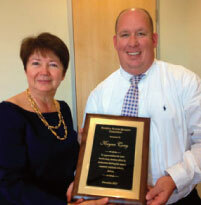 He was recently named Leading Association Lobbyist by Association Trends Magazine. 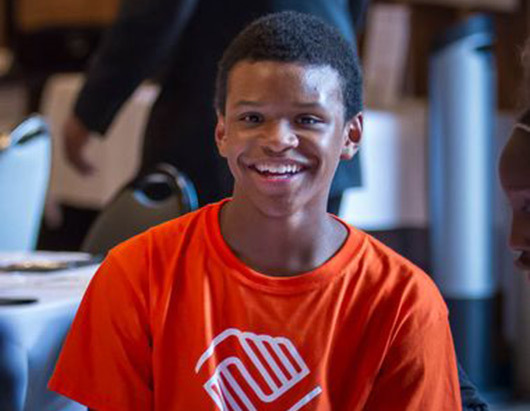 Both Cory and Smith are Boys & Girls Clubs Alumni; Smith in Broward County and Cory in Middletown, Rhode Island. 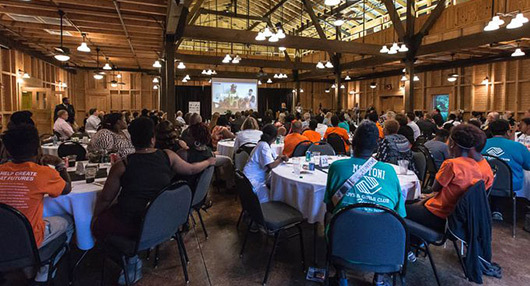 For over a century, Boys & Girls Clubs help young people find a path to great futures. The Alliance now serves nearly 4 million young people at over 4,000 facilities throughout the county and on U.S. Military Bases. Click Here to Listen to this story online. Tallahassee is full of lobbyists, and they’re in high gear at the Capitol for the final week of the legislative session. A lobbyist is someone who is hired by a company or organization to convince lawmakers to pass legislation benefiting their clients. Long-time lobbyist Jack Cory doesn’t stop moving much during the session. His firm’s two-dozen clients include the Florida Alliance of Boys & Girls Clubs, Florida Citrus Sports, and the Florida and National Greyhound Associations. In the final stretches of session, Cory's starting his days with four shots of espresso before dawn. Cory sees himself as an educator, teaching lawmakers about the changes his clients are seeking. His typical day during session involves lots of meetings. He’s armed with one-page documents containing bullet points of information that come in handy when he runs into lawmakers like Rep. Kionne McGhee, D-Miami. He tells the reps things like: “This is for your Boys & Girls Clubs down in Miami. This bill will be up next week." Cory was part of a Boys Club as a teenager up north, where he learned how to be a radio broadcaster. He spent time in the Air Force, worked in marketing, and eventually started running political campaigns. He now runs Public Affairs Consultants in Tallahassee with his wife Keyna. He’s been lobbying the Florida Legislature for more than 20 years. Cory sat down for a chat before another long day of lobbying at the Capitol. WLRN: Certainly there are people who think lobbying is about making backroom deals. What does the law say you can do? Jack Cory: We have some state statutes that require honesty [and] ethics, require registration, require full disclosure of your clients, require factual testimony... We do all of those things, and if you don’t, you don’t survive around here very long. WLRN: Why do companies or organizations need to have a lobbyist? Cory: They need to have one so that their views are put forth before the Legislature and so that they can stay at home taking care of their business. Now that does not mean that those folks back home don’t have to be involved in their public affairs program. They have to participate 52 weeks a year doing their grassroots back home. WLRN: Are there any laws you think could be changed to help make your job easier? Cory: Well, the gift law is probably one of the silliest things the Legislature ever did to itself. Term limits is equally as silly. We certainly wouldn’t tell doctors or bankers or brain surgeons that you could only serve for eight years, and after you’ve been a brain surgeon for eight years you have to go find a new job. But yet that’s what we tell our public officials in Florida once [they] get the experience and the knowledge of the process – and this is a very complicated process. To have a citizen Legislature, a part-time Legislature, it’s very, very difficult. And term limits is the bane of the productiveness of the Legislature. The gift law just broke the camaraderie of members being able to break bread with each other. To make it some sort of a sinister thing that a not-for-profit cannot take their legislator out for dinner and sit down and try to talk to them about their issues is just silliness. Nobody who is honest, moral, legal and ethical is going to sell their soul for a meal. Association Trends Magazine has released their "2013 Leading Association Lobbyists" list and has named Jack Cory one of the recipients. Cory, a founding partner of Public Affairs Consultants, received special recognition for his work with the Florida Alliance of Boys & Girls Clubs (FABGC). Cory's award winning grassroots program, specially designed for the FABGC, has helped the organization receive over $23 million in state appropriations. Congratulations Jack! FSAE is a small organization with a big reach and a big heart. Our staff is comprised of five dedicated individuals that personally assist Executive and Associate members and service providers. Founded in April of 1959, FSAE began with a handful of association executives that decided to share ideas and network on a regular basis. Beginning with 32 members, FSAE has continued to grow and expand its reach to the approximately 700+ members we have today. 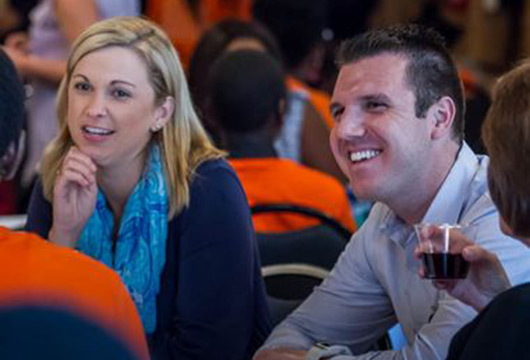 Since 2006 Cory has represented the Florida Alliance of Boys & Girls Clubs. 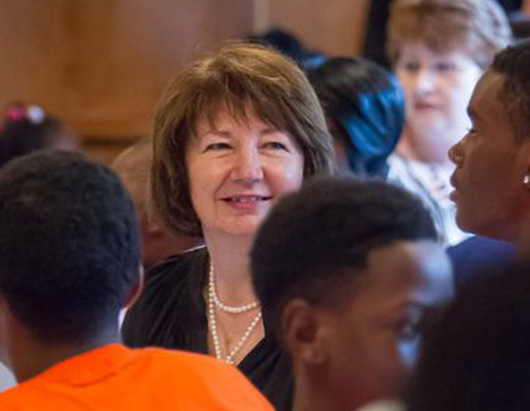 As a result of his leadership, the alliance has been able to secure $23 million for its youth members statewide – half to assist clubs with keeping kids out of the juvenile justice system. 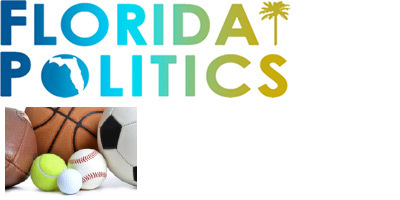 Under his guidance, the alliance created an award-winning grass-roots campaign that gets clubs involved with their legislators, with the ultimate goal of getting appropriations. The number of clubs actively working with legislators has grown from four a few years ago to 34 of the 43 member organizations last year. The direct result of the 2012-13 Grassroots campaign was $9 million in appropriations. 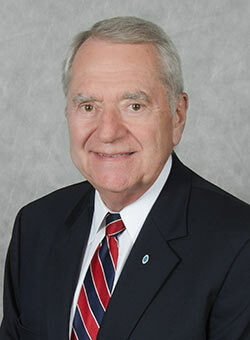 Jack Cory, Founding Partner, Public Affairs Consultants, Tallahassee, Fla. In his words: "Advocating for an association is very different than other forms of lobbying. I report to my president, executive director and board, but I work for every member of the association. Many associations do not have big campaign contribution funds, so we customize and professionally coordinate a grassroots program for our association clients. A strong grassroots program is essential for the success of an association's governmental affairs program. A good association lobbyist should provide data and factual information in a concise manner to public officials as well as to the members of the association. This will increase the value of being a member of the association." When Associated Industries of Florida wanted to get a bill passed about an obscure metal-theft issue, the business lobbying group turned to Cory Tilley to sell the idea to lawmakers and the public. Tilley, a onetime spokesman for former Gov. Jeb Bush and founder of the CoreMessage public relations firm, and his team created the "Floridians for Copper and Metal Theft Prevention" coalition and circulated a heart-tugging story of a Miami pedestrian struck and killed by a car on a road that had been left in the dark after metal thieves dismantled a streetlight for its copper wires. The bill passed. It's not a new idea, but more and more lobbyists are relying on PR firms like Tilley's to pitch their messages to media outlets and lawmakers in an attempt to sway public opinion and make it easier to win votes for or against issues. Out-of-state gambling giants like Las Vegas Sands and Genting relied heavily on Tallahassee PR firms in 2012 in a failed attempt to convince the Legislature to approve "destination resort" Las Vegas-style casinos in South Florida. Gambling will be front-and-center during the 2014 legislative session, and players on all sides are recruiting aid from PR firms to boost their odds of success. The messaging is as important as the lobbying on some issues, said Tallahassee lobbyist Nick Iarossi. He has hired a firm headed by Ron Sachs, who served as communications chief to the late Gov. Lawton Chiles, to handle PR for gambling client Las Vegas Sands. "If your messaging is off in the press, you're never going to get a legislator to vote a certain way. So providing the political cover from a PR perspective allows for an easier pathway to a lobbying success," Iarossi said. "And it can work the other way just as importantly. If you're in opposition to an issue, ensuring that the press is aware of the negative consequences of a certain piece of legislation is key to defeating that piece of legislation." Public relations pros handle social media, create coalitions like the one that helped secure passage of the anti-metal theft law and make sure lawmakers and the press hear from "real people" concerned about particular issues. Like CoreMessage and Sachs Communications, many of Tallahassee's numerous PR firms are staffed or founded by communications professionals who built relationships with the media while working as spokesmen for the state's top elected officials, political parties or state agencies. Unlike paid advertising about issues, "earned media," or news stories, lend an air of authenticity that resonates with lawmakers, Tilley said. "If lawmakers and decision-makers see a series of positive stories about an issue, they're much more likely to look at this from a credible perspective as opposed to a special interest looking for a legislative change," he said. "The more third-party voices that we're able to bring to the table in those stories helps because (lawmakers) see there's people out there that want these changes made. It's a constant battle to try to define your issue and if you can define it in the media in a positive manner you've got a leg up on your competition." The link between lobbyists and PR has boomed over the past five years, and it isn't going to subside, said Sarah Bascom, president of Bascom Communications & Consulting. "Adding a PR firm to the budget or the team used to be a luxury. Now it's becoming more and more of a necessity and an expected expenditure," she said. Although many reporters might disagree, Bascom said she considers firms like hers as "conduits to the media" rather than media lobbyists. "We call the client and say you need to call that reporter back. They may say they don't like to talk to the press. Our answer is you can either attempt to educate and influence a story or sit back and let it happen to you," said Bascom, who was a spokeswoman for former Senate President Jim King. Lobbyist Keyna Cory and her husband, Jack, also handle public affairs for their clients, and the demand for those services is growing, she said. More lawmakers are relying on polls before coming out and advocating for or against an issue, Keyna Cory said. The right kind of messaging can help sway public opinion, she said. "If they want to sponsor a bill on widgets, they're going to ask their community how they feel about widgets. They may not know. So they gauge how the community feels about the issue. That's where PR firms can be a great help," Cory said. Publicity can also give the appearance that there is widespread support for an issue, especially when there is mounting opposition to it. Justin Sayfie, whose website "Sayfie Review" is the go-to source for lobbyists and PR firms to advertise their issues, pointed to the recent rift over a possible military strike against Syria. Leaders like President Barack Obama sometimes need "air cover" before making decisions, Sayfie said. "Someone said today that if the president wants members of Congress to vote (for) the authorization of force in Syria, he's got to make the case to the American people so the legislators will feel they have support. The same is true really of any issue that anybody is advocating in Tallahassee. It's becoming more and more important to ensure that you're making the case to residents and voters," Sayfie said. "If the people support your issue, then you've got a better chance in Tallahassee." 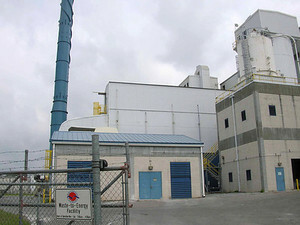 Debate continues over whether waste-to-energy plants, such as this Bay County facility north of Panama City, should count as recycling or are simply garbage incinerators. File photo by Bruce Ritchie. Florida's statewide recycling rate jumped from 30 percent in 2011 to either 35 or 48 percent in 2012, depending on which figure you choose to accept. Both numbers are included in a new Florida Department of Environmental Protection annual report on recycling. The higher increase of 48 percent reflects a 2010 law change, HB 7243, that counts as recycling waste that is burned to produce electricity, according to DEP. The smaller increase to 35 percent represents the "traditional" recycling rate without counting waste-to-energy. Both numbers reflect a 5 percent increase because the reuse of some construction waste now is counted as recycling. Waste companies helped persuade the Legislature to change the law in 2010 toward meeting the state goal of 75 percent recycling by 2020. The new recycling goal was established in 2008 in HB 7135, a comprehensive energy bill. This year, SB 1096 removed a recycling reporting requirement for schools, colleges and universities. The Sierra Club state chapter continues to object to counting garbage burning and says the recycling figures in the new DEP report are inflated. "I would say counting waste-to-energy as recycling is patently absurd," said Dwight Adams, the chapter's waste minimization chair. "If anyone knows the facts they will put Florida in the position of being the laughingstock because of recycling." DEP went to "great pains" to include both figures in the report as promised during rule-making, said Ron Henricks, manager of the department's waste reduction section. "We knew early on we would have to provide both numbers," he said. Keyna Cory, lobbyist for the National Solid Wastes Management Association, said the proper recycling rate is 48 percent. She said the Legislature in 2010 included the reuse of materials, including burning it to produce electricity, under the definition of recycling. "Whether you are recycling, making it (into) a virgin material and manufacturing an item or taking it and reusing it for energy, it is all part of that comprehensive plan the Legislature set forth for managing solid waste," she said. When waste-to-energy is counted as recycling, Martin County has the highest recycling rate with 75 percent. Alachua County, which would have the highest at 54 percent, drops to eighth behind other counties with incinerators. Leon County, which was fifth in traditional recycling with 43 percent recycling, drops off the top 10 list when waste-to-energy is included. DEP says more commercial waste will have to be recycled to reach the statewide 75 percent goal by 2020. But Henricks said there is no single strategy that can be used to reach the goal. "We are focusing on the commercial sector -- that is the biggest single chunk," he said. "It is going to take a lot of sectors working together to reach the goal." Reporter Bruce Ritchie can be reached at britchie@thefloridacurrent.com. Several members of the Florida Water Quality Coalition presented Keyna Cory with a plaque for her efforts in leading the numeric nutrient criteria task force for the business and regulated community. Since 2009 Keyna has been coordinating the efforts of the task force to stop the US Environmental Protection Agency from implementing unreasonable and unscientific water quality standards in Florida. Florida Gov. Rick Scott signed into law a key industry bill doubling the permit terms for solid waste facilities. House Bill 503 extends the permit term for a solid waste management facility with a leachate collection system to 20 years from 10. Facilities without leachate collection systems can extend the term to 10 years from 5, said Keyna Cory, longtime Florida Chapter lobbyist for the Washington-based National Solid Wastes Management Association (NSWMA), in an e-mail. The law will take effect July 1. The bill was sponsored by Rep. Jimmy Patronis (R-Panama City). The NSWMA called the bill a top priority for the region and the industry when it passed the state legislature in March, and applauded the bill being passed into law. "The new law will save the industry millions of dollars," said John Clifford, NSWMA Florida Chapter chairman in a news release. "The language in this bill will help companies of all sizes in Florida, from the small business to the large international companies. The money saved with the extension of the permit renewal can be used by NSWMA members to invest in equipment; upgrade facilities and increase workforce. This legislation maintains environmental protection, but does so without needless burdensome regulation. It is really a win-win for all involved." The cost for landfill permit renewals vary depending on the type of facility, Cory said. It currently takes about six to eight months to renew a permit if there are no issues. TAMPA - For metal thieves in Florida, targets are everywhere. They've hit homes, businesses, churches, construction sites, utilities, telephone companies and storage lots. They've ripped out copper wiring, dismantled air conditioning units and illegally scrapped manhole covers, stop signs, interstate guardrails, park benches, railroad ties and chain-link fences. Now authorities hope they will get a new weapon in the battle against the surging thefts. Two bills awaiting Gov. Rick Scott's signature would make it harder for people to sell stolen metals to recyclers, stopping a crime that can mean huge losses for property owners, advocates say. "It's just hurt too many people - both in the pocketbook and with their loved ones," said Keyna Cory, a coordinator for Floridians for Copper and Metal Crime Prevention, which supported the legislation. "We think this is what we need to stop this crime." The primary bill (HB 885/SB 540) creates statewide standards and a database for recording information about metal sales. It also increases penalties for metal theft and establishes a list of metals that can't be resold without proof of ownership. "Why steal it if I can't sell it someplace?" asked Cory. The legislation would require that metal recyclers take down sellers' information as well as information about the metal, such as a serial number. That information would be entered into databases shared by law enforcement. It would create a list of 20 items, including manhole covers, funeral markers, storm grates and beer kegs, that can't be scrapped unless the seller can prove ownership or authority to sell the property. Payment for those items must come in check form - no cash. The law also would make these requirements uniform across the state, instead of the existing patchwork of regulation at the county level, Cory said. The penalty for metal recyclers who fail to keep proper paperwork would increase to a third-degree felony from a misdemeanor. That would be upped to a second-degree felony for third or subsequent violations. People who steal metal from electrical substations would face a first-degree felony. "We came together collectively to work on something to help solve the problem," said Rose Mock, president of Allied Scrap Processors in Lakeland and President of the Florida Recyclers Association. Though not a perfect solution, she said, it's a step in the right direction. She also said that Florida recyclers took a proactive step to combating metal theft. "People think that nobody's doing anything, but we are," she said. "We all are." The changes would help local authorities regulate the industry better, said Hillsborough County Sheriff's Detective Dillon Corr, who investigates scrap metal cases. "We're going to take away the outlet and, hopefully, that's going to reduce the metal theft," he said. Metal theft has grown steadily in the past 10 years, spurred by rising prices and increasing demand from China and India, experts say. But the crime has increased dramatically with the economic downturn. "It's basically a crime of last resort," Corr said. He said scrapping offers a huge reward for little risk, attracting everyone from drug addicts to out-of-work electricians. Metal thieves can cause far more damage getting the metal than it is worth at the scrap yard. The thefts can also have serious unintended consequences. In September, a Miami pedestrian was struck and killed on a stretch of road left dark after metal thieves stripped copper from the streetlights, according to Floridians for Copper and Metal Crime Prevention Coalition. The Withlacoochee River Electric Cooperative, serving west-central Florida, suffered more than $300,000 in metal theft-related damage in 2011, the coalition reported. Although not all law enforcement agencies track metal-related thefts, some have reported large jumps. Clearwater, for example, saw metal thefts jump from 59 in 2010 to 169 in 2011. It's hard to know exactly how big of a problem metal thefts are across the state. Or how much they do in damage. "I think that we would be closer to billions," said Cory. A trade group representing private solid waste management companies is lauding what it calls two key pieces of solid waste legislation passed in Florida. "Our chapter's two top priorities were passed this session, and both of them were unanimously approved," said NSWMA Florida Chapter Chair John Clifford in a statement. House Bill 503 is what the chapter calls a "major rewrite of environmental permitting lawsö that doubles permit extensions for solid waste management sites with leachate collection systems from 10 to 20 years, NSWMA said. Locations without leachate collection systems would see their permits also double from five to 10 years. House Bill 7003 creates a statewide environmental resource permitting system that the trade group said "will give consistency to the five DEP districts when it comes to the permitting process." Both bills passed unanimously and are awaiting Gov. Rick Scott's signature to become law. 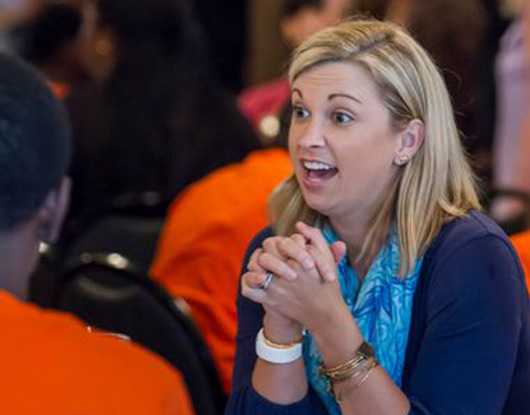 Keyna Cory, government relations specialist for the Florida Chapter, said grassroots efforts by members paid off. "Florida Chapter members really stepped up to the plate and contacted their legislators before key committee votes letting them know how important this issue was to their company," she said in a statement. Contact Waste & Recycling News senior reporter Jim Johnson at jpjohnson@crain.com or 937-964-1289. 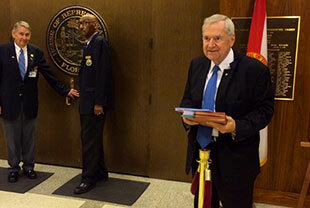 Tallahassee, Fla. - The Florida Chapter of the National Solid Wastes Management Association (NSWMA) today applauded the passage of two pieces of key solid waste legislation by the Florida Senate and House of Representatives during the 2012 legislative session. NSWMA is very hopeful that the bills will be signed into law by Florida Governor Rick Scott. NSWMA Florida Chapter Chair John Clifford stated that the Chapter was very pleased with the legislation that was passed. According to Clifford, "Our Chapter's two top priorities were passed this session and both of them were unanimously approved." The first bill supported by the NSWMA was HB 503 by Rep. Jimmy Patronis (R-Panama City). This bill is a major rewrite of the environmental permitting laws that includes language that will double the term of permit extensions for solid waste management facilities with leachate collection systems from 10 to 20 years. Those facilities without leachate collection systems would be able to extend their permit terms from 5 to 10 years. Lobbyist for the Florida Chapter Keyna Cory said the success of passing this important legislation was due to the grassroots effort. "Florida Chapter members really stepped up to the plate and contacted their legislators before key committee votes letting them know how important this issue was to their company," said Cory. NSWMA Florida Chapter Vice Chair Chuck Dees stated that working with the Florida Department of Environmental Protection was another key factor for a successful session. "We began working with DEP early in the process so that we could agree to compromise language that is beneficial to the industry without harming the environment," stated Mr. Dees. The other passed legislation on the Chapter's Session Priority list was HB 7003 by Rep. Steve Crisafulli (R-Merritt Island). This bill creates a statewide Environmental Resource Permitting system. This legislation will give consistency to the five DEP districts when it comes to the permitting process. Each bill is consistent with legislative intent to require regulations to be effective in protecting the environment, not just burdensome to industry. NSWMA - a sub-association of the Environmental Industry Associations - represents for-profit companies in North America that provide solid, hazardous and medical waste collection, recycling and disposal services, and companies that provide professional and consulting services to the waste services industry. NSWMA members conduct business in all 50 states. The death of a South Florida woman served as a catalyst to bolster the state's metal-theft laws. In September, Thelma Morrow was killed in a crash along a darkened street, left that way by thieves who stripped copper from Miami streetlights. The driver who hit her told police the light outages helped make the crash difficult to avoid. State legislators, citing her death, now have approved a bill that enhances criminal penalties against thieves and corrupt recyclers. Morrow's death "spawned us into action, because her life was so tragically taken," said Sen. Chris Smith, D-Fort Lauderdale, who co-sponsored the bill. "It lit the fire under us to make sure that this doesn't happen again." Legislators are sending the bill to Gov. Rick Scott, who is expected to sign it. The law would take effect July 1. Morrow's sister, Ethel Morrow Dandy, 62, said she was grateful the measure was approved. "She had to die an untimely death because of those copper-wire thieves," Dandy said. "This law will make a difference." The theft of utility wires already was a misdemeanor, but now such metal thievery would be a first-degree felony. "You're going to spend some time behind bars for doing this," Smith said. The bill also would tighten restrictions on scrap-metal yards statewide. If buying stolen property is made riskier for scrap-yard dealers, the reasoning goes, it will cut off the demand side of the illicit business. The bill prohibits buying 17 metal items often targeted for theft, things like manhole covers, backflow valves, coils from air conditioners and utility light poles, wires and fixtures. People selling to dealers must prove ownership or show they are authorized to sell the metals. And dealers must pay by check for the items, an extra hurdle if you're seeking quick money. Dealers intentionally ignoring inspection requirements would face a third-degree felony. Recyclers with three or more offenses would be charged with a first-degree felony. Backers of the measure said it only should affect dealers who who turn a blind eye to the illegal source of items offered for sale. "It's the ones that aren't legit who are going to have serious problems trying to comply," said Keyna Cory, coordinator of Floridians for Copper and Metal Theft Crime Prevention, a coalition of industry organizations. Smith said the metal-theft bill is the first one increasing criminal penalties co-sponsored by him. But it "was worth it in this case," he said after he heard from countless metal-theft victims in South Florida and learned of Morrow's death. Morrow's sister said she wished the bill would have been approved "a long time ago, before it cost someone's life." Dandy said she and her family plan to visit Morrow's gravesite in Fort Lauderdale on Tuesday, her sister's birthday. Morrow would have turned 53. "We truly miss her," Dandy said.